A hole where you NEED to give yourself a chance at the hole in one. From the first tee, use a long iron with plenty of backspin. Land your first bounce directly on the green and aim slightly above the pin. 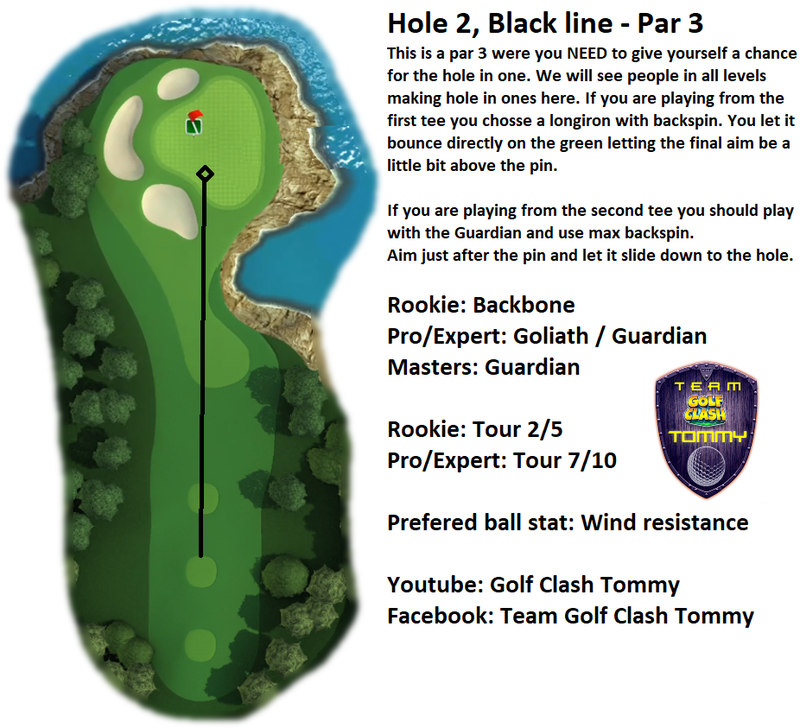 From the second tee, use Guardian with max backspin. Aim just after the pin and let the ball slide down to the hole.